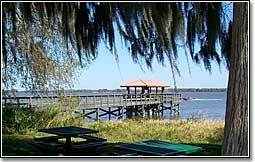 Howey-in-the-Hills is a quaint small town on Highway 19 just south of the City of Tavares. The town has a pretty waterfront area on the west side of Little Lake Harris with lakefront homes overlooking Little Lake Harris. The town's founder, William J. Howey, started buying Lake County Land in 1914. By 1920 he had amassed about 60,000 raw acres for his "City Inevitable". The Florida Land Boom tripled Howey's enterprises and the City was incorporated in on May 8th 1925. The Florida legislature officially changed the name to Howey-in-the-Hills on May 13, 1927 to reflect the beauty of the lakes and hills which Bill Howey touted as the "Alps of Florida".